Some of the best ideas come together quickly. 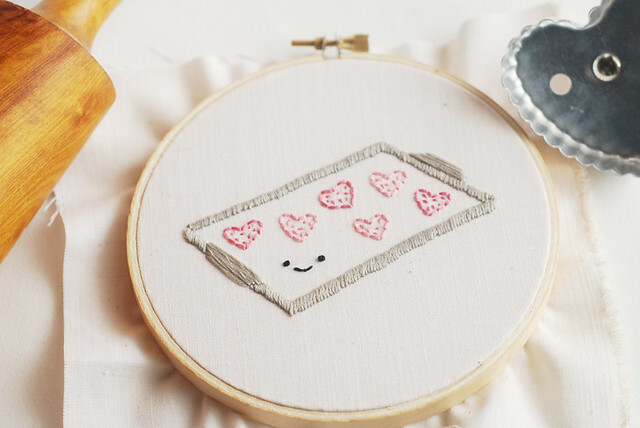 I wasn't planning on a new embroidery pattern for Valentine's Day, but then...Baked with Love happened. It's a set of hearts and pink and love and red and...each pattern is a yummy baked good. Find it in the shop now, and I have plans to get some matching recipe cards set up very soon. Yay for hearts and baked treats! Oh recipe cards would be so darling! A great valentines gift for a baker friend too. So cute!!!!! Love your color palette.